Consumer Technology Association (CTA) and Security Industry Association (SIA) say U.S. tariffs on Chinese goods will hurt the smart-home industry, especially the thermostat and security markets. Overall, the Trump Administration is proposing $50 billion in tariffs against China, and the U.S. smart-home market -- especially thermostats and security sensors -- will suffer the consequences. Both the Consumer Technology Association (CTA) and the Security Industry Association (SIA) are not happy about the planned U.S. tariffs on imported goods from China. In testimonial public comment to the Office of the United States Trade Representative, the Consumer Technology Association (CTA) argues that the proposed $16 billion in tariffs by President Trump on electronics goods and the corresponding reactive tariffs by China will negatively impact businesses and consumers, and fail to correct the achieved result of curbing China’s unfair business practices. Meanwhile, SIA has identified 56 categories of equipment in the proposed tariffs that will negatively affect security dealers. Overall, the Trump Administration is proposing $50 billion in tariffs against China. “The tariffs will also harm millions of U.S. businesses and workers across every sector that use innovative technology products to increase productivity, as well as consumers who depend on connected devices to access the internet on a daily basis,” say CTA president and CEO Gary Shapiro and CTA vice president of international trade Sage Chandler. “Ironically these tariffs will harm the industries they seek to protect while failing to influence China's behavior." CTA cites data from the National Retail Federation that says the Trump administration’s proposed tariffs on Chinese imports, coupled with retaliation promised by China, would reduce U.S. gross domestic product by nearly $3 billion and destroy 134,000 American jobs annually. “The report finds that four jobs would be lost for every job gained,” say Shapiro and Chandler. For its part, SIA is in the process of trying to get exclusions from the USTR from Section 301 tariffs on $34 billion in Chinese goods imported to the United States. In effect as of Friday, July 6, an additional 25-percent tariff applies to 56 tariff subheadings identified by SIA as impacting security-related products. The public will have 90 days to file a request for a product exclusion; the request period will end on Tuesday, Oct. 9. Following public posting of the filed request on regulations.gov, the public will have 14 days to file responses to the request for product exclusion. After the close of the 14-day response period, interested persons will have an additional 7 days to reply to any responses received in support of or opposition to the request. Exclusions will be effective for one year upon the publication of the exclusion determination in the Federal Register and will apply retroactively to July 6. Getting into specifics, CTA calls out two particular product categories that will be detrimentally affected: thermostats and security motion sensors. The thermometer tariff line (HTS 9025.19.80) covers a broad range of consumer goods, including outdoor thermometers, kitchen meat thermometers, digital thermometers for kids, and temperature sensors used in household thermostats. "Tariffs will also harm the retailers who sell these consumer goods, as well as the small businesses who install thermostat systems." “Americans purchase 17 million thermostats each year to help manage energy costs, and thermostats are already subject to a 25 percent tariff (which took effect on July 6). 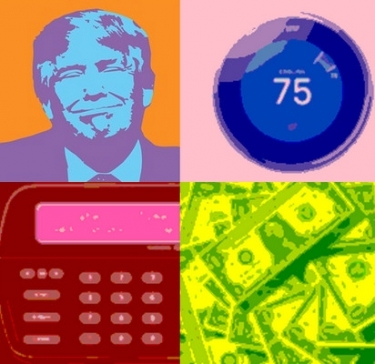 Tariffs on thermostats will hurt U.S. consumers by imposing a double burden of (1) higher prices on a consumer necessity, and (2) higher energy bills because consumers will be less able to afford energy-efficient smart thermostat systems. Tariffs will also harm the retailers who sell these consumer goods, as well as the small businesses who install thermostat systems,” say Shapiro and Chandler. He continues, “A similar case can be made against the proposed tariffs on motion sensors (HTS 8543.70.45), a product which comprises a core part of home security systems that millions of Americans purchase to enhance household safety. U.S. sales of motion sensors and home security systems reached $4.69 billion in 2017. As with thermometers, tariffs on motion sensors will subject U.S. consumers to higher prices and compromise household safety. 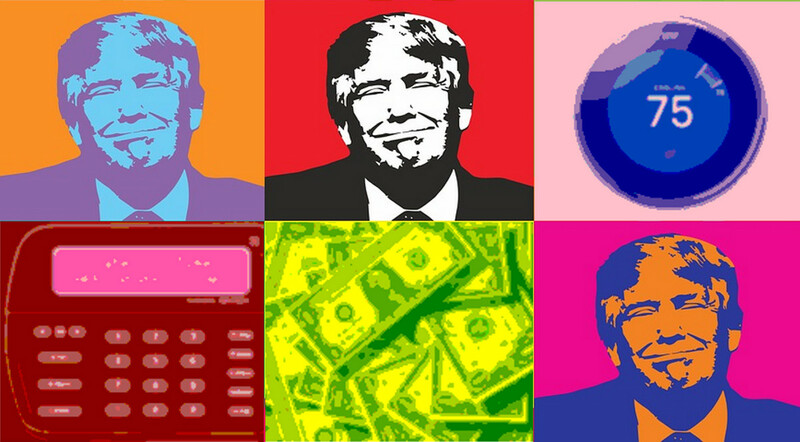 These tariffs will likewise hurt the retailers and small business installers who sell and install home security systems by increasing prices and depressing demand." The association recommends the Trump Administration, "engage China on specific, concrete issues to achieve the elimination of its laws and regulations that discriminate against U.S. businesses. The administration has unique opportunities to leverage multilateral action, join strategic trade agreements and aggressively promote existing enforcement programs, all of which will disincentivize China’s troubling trade behavior without risking the economic future of U.S. companies and workers." The Chinese have been stealing technology from the US for years with no repercussions. They have been manipulating their currency to make our goods even more expensive than the outrageous tariffs they already charge to get American goods into their country. The Chinese cannot afford any kind of a prolonged trade war right now. Their markets are in bear territory, the government has cracked down on all kinds transactions, making the economy that much weaker. The tariffs on certain goods, while not good for some industries that use goods imported from China, are absolutely necessary to get China to stop stealing our technology and charging outrageous tariffs on American goods going to China.